After seizing criminals' servers in raids alongside US marshals in Illinois and Pennsylvania, Microsoft announced it had successfully disabled two botnets that were spreading banking malware. The groups used the ZeuS Trojans to take over computers and install malicious software in order to get information that would let them steal money from bank accounts. Computers were infected with key-logging software, which lets the hackers steal logins and passwords from unsuspecting victims. Richard Boscovich, senior attorney for the Microsoft Digital Crimes Unit, said: "With this action, we've disrupted a critical source of money-making for digital fraudsters and cyber thieves, while gaining important information to help identify those responsible and to better protect victims." Microsoft said the Zeus botnet has infected 13 million computers in the past four years, stealing millions of pounds. For more information on Microsoft's ZeuS-tackling action, read the company's official blog. Microsoft also made this YouTube video explaining how and why they planned the raids, which you can see at the end of this post. The web is now a slightly safer place following this "significant" win, although only two gangs were targeted. However, it's worth noting that Microsoft also seized the PCs and domain names of the alleged criminals, crucial information it can use to investigate other gangs. We expect to see more arrests following this success. 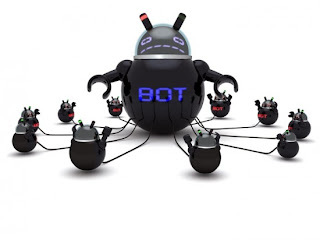 But it's probably not the last we've seen of the ZeuS botnet, because criminals could buy it as 'crimeware' for between $700 (£440) and $1,500 (£941). So using anti-virus software to protect your PC remains as important as ever. Well done Microsoft! It's not the company's job to police the web, but it willingly goes out of its way to protect customers and does so smartly and effectively - and never by stepping outside the law itself. If other major technology firms followed the same example, the web would be a much safer place. Apple and Google, we're looking at you.